Sometimes I have a problem where I’ve got more than enough stuff that I could write about, but, frankly, can’t really decide on any one subject. 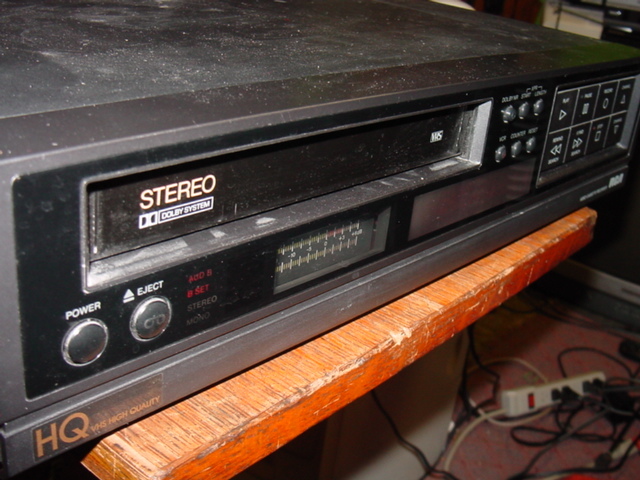 Such was my problem recently, as I looked at the boxes of VHS tapes, stacks of DVDs and mounds of old electronics around me, yet continued to be at a loss. I couldn’t get fired up over anything. 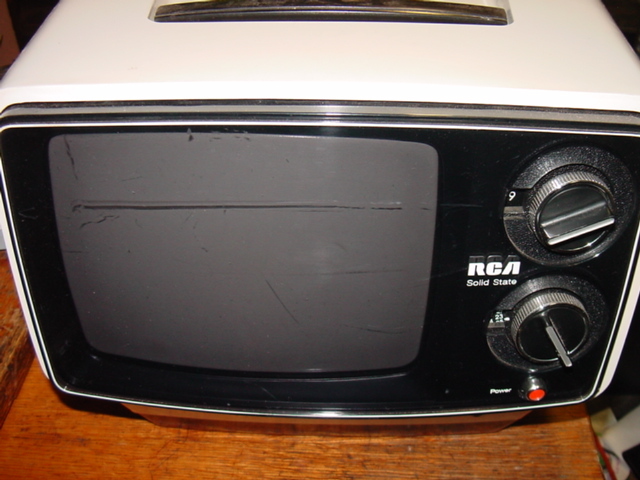 Then, my eyes fell upon my beloved RCA AU-097Y portable TV from 1975, which I wrote about waaaay back in 2013 – in the early months of this very site! 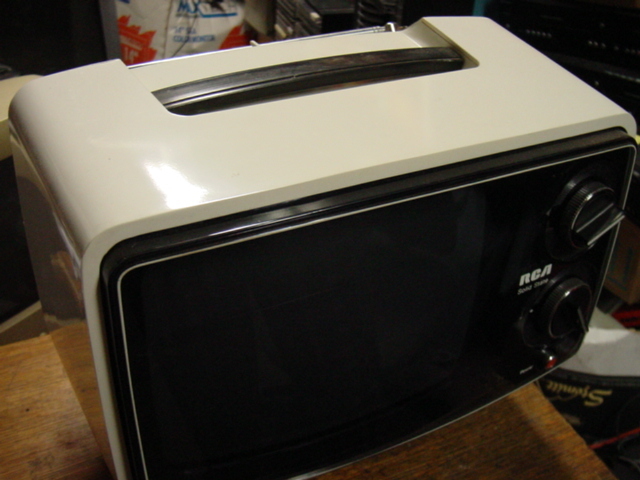 I have always loved the extreme 1970s-ness of this TV, but even so, that alone wasn’t enough to bring it back for a return-appearance on my stupid dumb blog. So what warranted a quick picture-taking session? Now, I can play Atari 2600 (or if you want to get technical, Atari 7800) pretty much any time I please. I have one constantly at the ready in my “office” (ha! ), and while I don’t play video games a whole lot, I do occasionally need to, as the ads used to say, reach reach reach for Atari. This doesn’t normally require usage of a 42 (!) year old TV, however. So, why did it now? Xenophobe, that’s why! The picture to the right says it all: Midway’s 1987 split-screen arcade game was given the 2600 treatment, the title-screen of which you’re seeing right here. Xenophobe has long been one of my favorites on the console, which is funny, since I’m not big on the arcade version or most of the higher-end ports (the Lynx adaption wasn’t bad). I guess in the 2600’s case, “less is more,” though. While the more advanced versions retained much of the comical, cartoon-like atmosphere of the coin-op, the 2600’s weaker graphic and sonic capabilities meant only the ‘meat’ of Xenophobe was retained. It comes off quieter, more desolate, which for a game originally inspired by the Alien films, I think serves the 2600 port well. Plus, the fact a game this advanced even made it to the 2600 at all, in an extremely playable form no less, is purty derned impressive. Here’s the deal: This 2600 port was indeed released in the U.S., at the insanely late date of 1990 (actually, this AtariAge thread says it didn’t ship until Spring 1991!! ), which means there were/are NTSC copies out there, but for the longest time, they were pretty rare. I mean, by 1990/1991, the 16-bit era of video games had dawned; who would have thought they’d still be releasing games for a console introduced in 1977 in an age where the Sega Genesis had been unleashed?! It’s true – the Atari 2600 wasn’t officially discontinued until January 1, 1992. This wasn’t a one-off release, either; there were a slew of new 2600 games released in the wake of the infamous 1983 video game crash, after Nintendo totally revived the industry. Many of these newer 2600 titles were, and are, super-impressive, featuring NES-like formats and gameplay and graphics that many just wouldn’t think possible on the 2600. 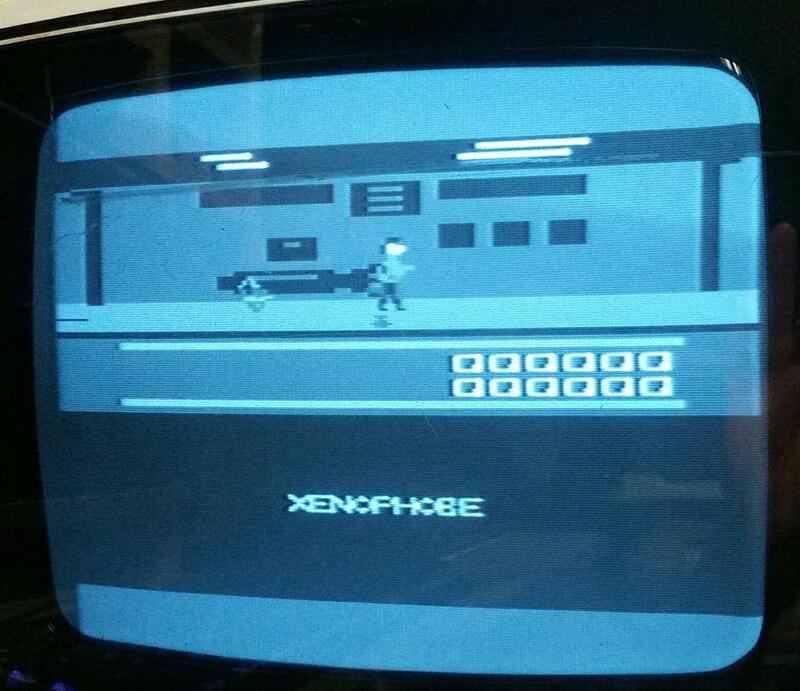 Xenophobe is one such game, but by the time it saw release in the U.S., the market for the 2600 was all but dead. Overseas though, there was still some life left in the beast, the result being that you could find PAL copies of many of these hard-to-find US titles for a fraction of the cost. And that’s where my RCA TV comes in. 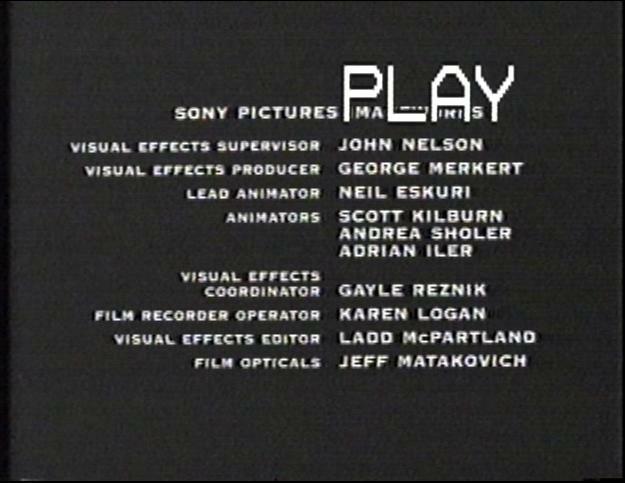 As you may imagine, games in the PAL format from that era aren’t generally known to run correctly in the U.S. Colors will be off, and more drastically, the screen can roll, rendering the game unplayable. However, by using an old school CRT TV with the capability to adjust the vertical hold, you can stabilize the screen to normal, and if you’re using a black & white set, as I did here, why, the mismatched colors don’t even matter! Cool winnins! I own a (as I was assured by the seller) sealed NTSC copy of Xenophobe, which I had to pay real money for back in 2001 or 2002, but my loose copy is PAL. I’ve had a hankerin’ for some 2600 Xenophobe lately, so, well, you can deduce how we got where we are right now. 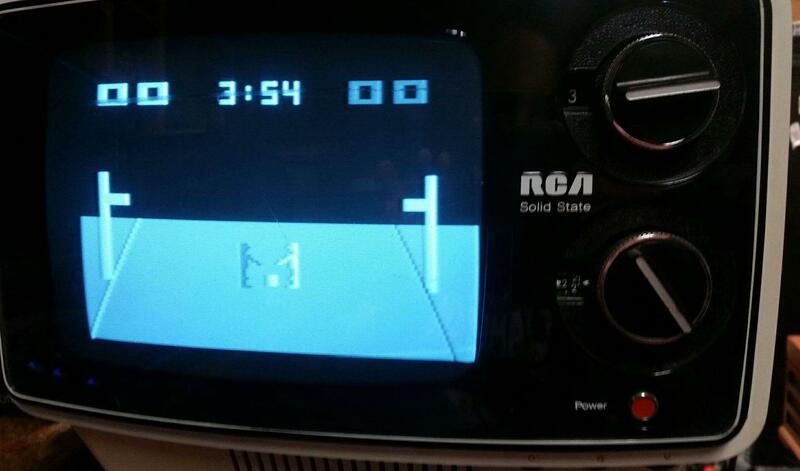 To make Atari happen on the RCA, I had to kick things way old school. 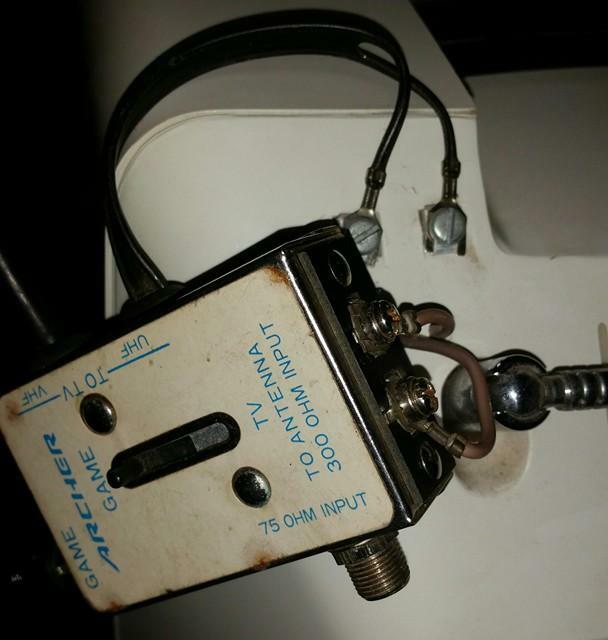 Yep, via screws and an ancient RF switchbox – the kind you had to slide a switch to TV or game when you wanted to enjoy either. That’s what you’re seeing to your left here. Nothing unusual about it; this is how video game consoles were hooked up back in the day! 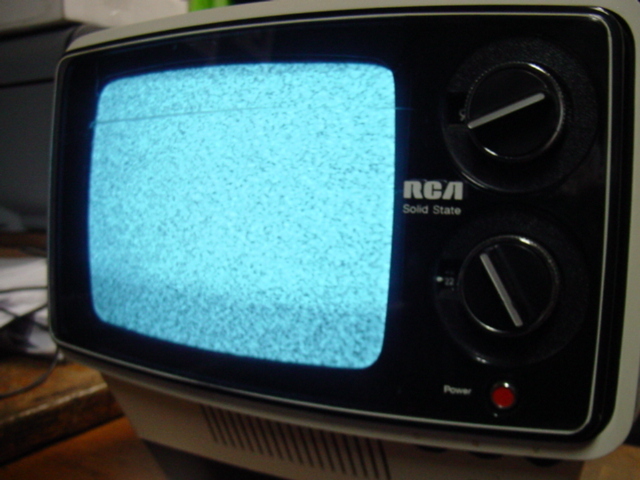 On the RCA, there’s no other way. Actually, it’s kind of a kick to hook a system up to a TV this way. You know, I grew up plugging things into the RF port, or via AVs, so it’s sorta neat to attach a console in such a wildly obsolete fashion. It feels very late-1970s/early-1980s appropriate, even if the Atari 7800 (which also plays 2600 games is thus my normative choice of Atari console) didn’t come out (nationally) until 1986, when this method had almost-certainly been widely-superseded by the RF/AV thing I just mentioned. There are a bunch of contrasting eras at play here. You’ve got a black & white TV from 1975, displaying a game copyrighted 1990 and apparently released in 1991 and made for a console introduced in 1977, which in turn was being played on a console released in 1986 but included native backward-compatibility with that console introduced in 1977. Why, it’s enough to make your head swim! So, back to Xenophobe. If for some reason you thought I had some kind of authority in the world of Atari (Hint: I don’t) and asked me to name my top 20 games for the 2600, Xenophobe would absolutely be on that list. Actually, it’d make my top 10. I love the game! To your right is the opening scene of game play (I’d venture to guess that this is the only pic of the game being played on a black & white TV from 1975 on the internet – for the time being). Now, most people probably think of 2600 games as simple affairs, but Xenophobe is actually pretty expansive, comparable to many then-modern games. There are eight stations to visit throughout the game (though there’s no ending; it loops after the eighth), and stations that include different rooms, with some having multiple levels accessed via elevator. And as we saw above, it even features a legit title screen! Graphically, the game really wows. Like any console, the longer it’s around, the more the programmers can get out of it. Okay, sure, compared to the NES or 7800 (both of which had ports of Xenophobe), never mind the Sega Genesis (which didn’t), the graphics are extremely blocky, and gamers nowadays would probably laugh so hard at them that they’d spill whatever hyper-powered soft drink they had chosen for their all-night online gaming session. But given the system it’s on, Xenophobe is definitely impressive. Your character is rendered in multiple colors, the animation is (mostly) smooth, there are a variety of aliens to combat, and from outside appearances at least, the space stations are varied; I really liked all the gadgets and junk that adorned the walls of the areas you traversed, too. There’s even separate cut-scenes featuring your mother ship coming upon an infested station! Neato! Musically, there’s some bits adapted from the arcade that don’t sound bad at all, and the sound effects are serviceable; there were certainly far worse to be found on the 2600. The plot of the game involves several space stations that have been infested by alien beings (“Xenophobes,” as per the manual), and it’s up to you to clean ’em out! Yep, you beam on board each station, alone, and must systematically clear out a required number of aliens before you can be beamed back to your mother ship. (If you take too long, you’re beamed back aboard while the infested station self-destructs.) The aliens range from pods to tentacles to gigantic, dangerous beasts, and you’ve got several weapon choices scattered throughout the ships to help exterminate them. Xenophobe‘s gimmick in the arcades was that the screen was split into three sections, allowing for three players going at the game simultaneously. For obvious reasons, the home editions generally cut that down to two, and as you can see, the 2600 followed suit; that bottom half is reserved for the second player – but not simultaneously! Yep, despite the split-screen, players must take turns, even though it’s still player one on the top, player two on the bottom. I get that having simultaneous game play like that might be too much for the ol’ 2600 to handle, but then why have the split-screen at all? That bit of irritation aside, Xenophobe is pretty solid. The difficulty may be a little uneven; get the powerful “Poofer Gun” and you can basically cruise through what would otherwise be some pretty tough stages, stages that are a little insurmountable without it or a plentiful supply of grenades. Still, the mark of any good game is how often you (or at least I) keep coming back to it. Despite having not played the game in years, I indeed kept coming back for another round. So, aside from using an ancient CRT TV to get around the rolling screen issues, what did I learn playing Xenophobe this way? 1) I don’t mind playing in black & white. 2) There’s an odd sense of “coolness” playing the 2600/7800 in this fashion. It just looks neat. I hesitate to use the word “authenticity,” but there’s probably some of that in there, too. 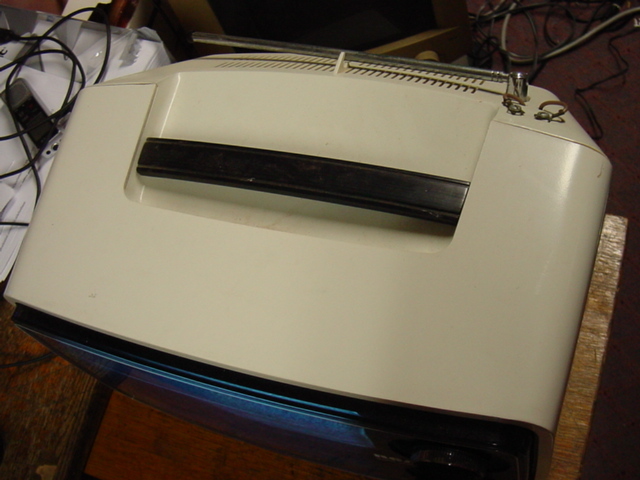 3) TVs this old emit a smell that’s not particularly pleasant. I looked the phenomenon up, and while I forget the technical term now, it’s apparently normal. Doesn’t change the fact that I have a hypersensitive nose and that first night of play gave me, no joke, an ill-feeling. Subsequent plays were better; maybe the smell dissipated? Or maybe my nose just got used to it? I dunno. Because this is just sort of a fun, dash-off post, I’m not sure how to end it. I played the Atari 2600 port of Xenophobe on an RCA TV from 1975, okay? Actually, I do know how to end this post; I didn’t spend a long time playing it, because honestly I just wanted the picture seen here, but I did fire up another 2600 favorite, and this one was more period-appropriate: 1978’s Basketball! When it comes to sports games, I’m not sure it gets more primitive than Basketball (that it’s right here, duh! ), but man is it fun. It’s a one-on-one game, and you can play either the computer or another person. I didn’t this time around, but the two-player mode is where it’s at. Competitive in all the best ways. The graphics and sound are probably more in line with what people think when it comes to Atari, but the play is what counts, and Basketball has it to spare! Get it? “Spare!” Cause it’s…oh wait, I’m thinking of Bowling. That’s a favorite too, though. So there you have it. 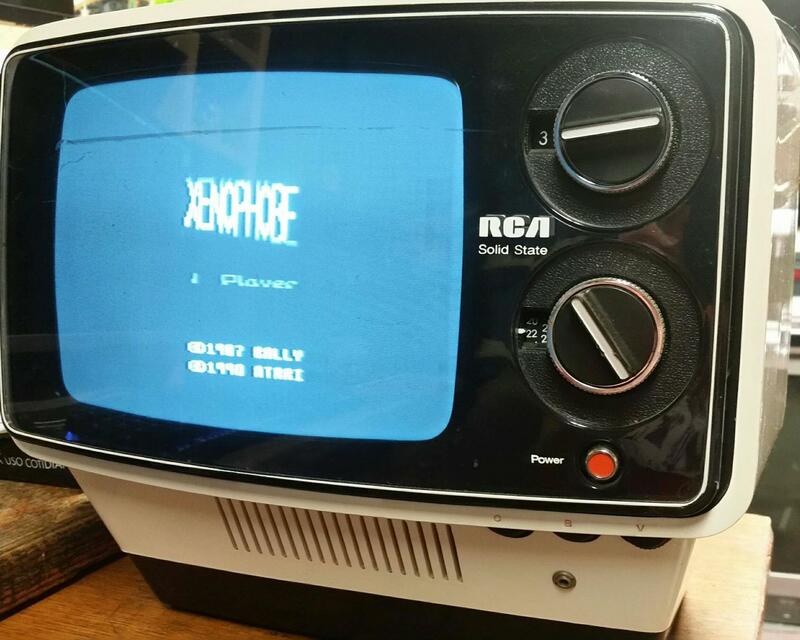 I busted out the beloved 1975 RCA AU-097Y portable TV for a picture-taking session, and more importantly, several Xenophobe sessions. 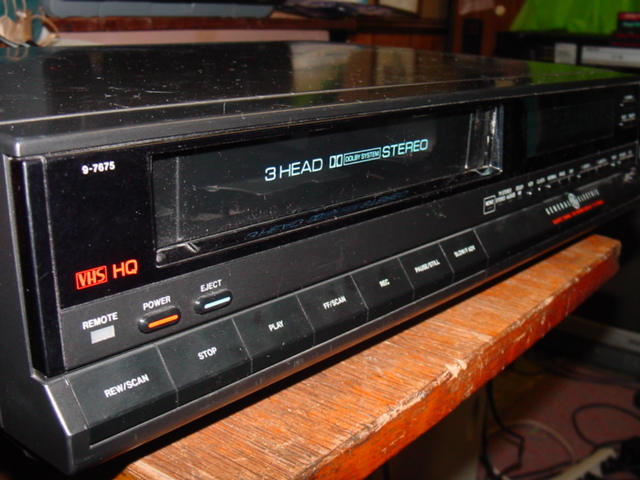 Nowadays, people like to mod their 2600’s for AV, HDMI, and so on and so forth. Play ’em on flatscreens and whatnot. Hey, nothing wrong with that. If I had the skills and the spare consoles, I’d take that plunge too. (Actually, I do have the spare consoles…but not the skills.) Still, sometimes you gotta kick it really old school, and I feel I have accomplished that arbitrary task exceedingly well. Also, playing Xenophobe without the screen rolling like a madman is nice. 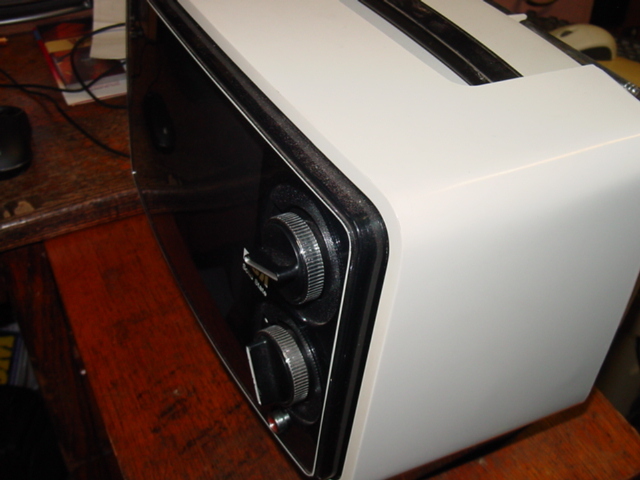 This entry was posted in Uncategorized and tagged 2600, 7800, arcade, arcade port, article, Atari, atari 2600, atari 7800, au-097y, basketball, basketball 2600, basketball atari, crt tv, old, old school, overview, port, portable tv, rca, RCA AU-097Y portable TV, RCA TV, review, tv review, video game, video game review, video games, vintage, vintage video games, xenophobe, xenophobe 2600, xenophobe atari, xenophobe review on November 16, 2017 by neovideohunter. Haven’t done an “old electronics” post in awhile. 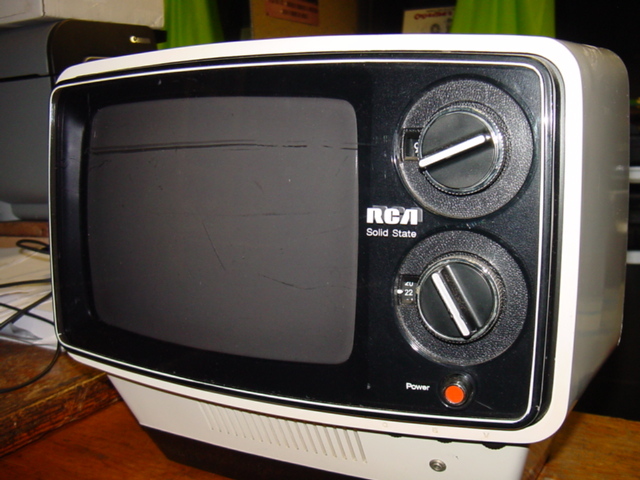 It’s an RCA portable TV, manufactured in October, 1975! Model #AU-097Y. It’s all about the looks with this one, and man, the only word to describe this thing is groovy. Believe me, I don’t use the word “groovy” lightly, either. Everything about the design of this one screams “1975.” Apparently, these were produced in a number of colors (a quick online search reveals red and yellow models), but the white casing of this one, to me, is perfect. I can just imagine this sitting in someone’s shag-carpeted apartment, the viewer patiently waiting for M*A*S*H to come on. The set is in exceptionally good shape. Don’t let that ‘line’ across the screen seen in the pics way up above fool you, it appears to be nothing more than a scuff that would probably come off with a good cleaning. Aside from a few minor marks that you’d expect from a TV set that will be 38 years old in October, this thing is really in much better shape than I would have ever thought. It works! 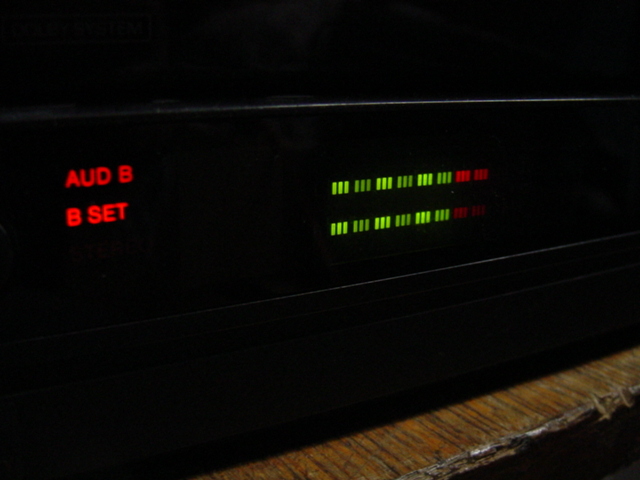 Of course, I can’t pick up any channels, but it seems to run without a hitch. And look at that, the appropriate jacks; you could even hook up the Pong system of your choice! I found this TV at a garage sale about 2 summers ago. I was able to buy both it and a much newer handheld TV for, I think, $10 total. The handheld TV was more of a “just for the helluva it” buy, but this 1975 set I was going home with no matter what. I may not be able to watch actual TV on it, not without a hassle at least, but this set is so cool that it commands attention just by being on display. 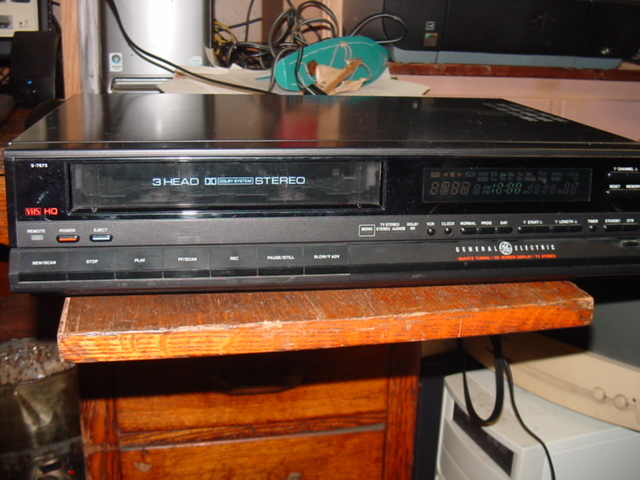 This entry was posted in Uncategorized and tagged 097y, 1975, article, au, au-097y, electronics, groovy, portable, rca, retro, review, television, tv, vintage on July 18, 2013 by neovideohunter.